If you are in need of auto repair services in Des Moines, IA by an auto repair shop you can trust, call the certified technicians at Premier Automotive Service Center. Our highest priority every work day is total customer satisfaction. Our quality services are carried out by auto experts with the use of concentrated training and the most reliable diagnostic and repair equipment on the market. 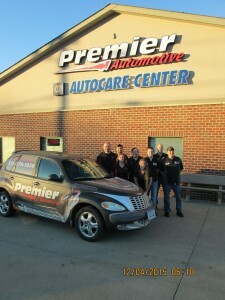 Premier Auto has been family owned and operated since 2002, providing premium auto repair services in the Des Moines and Greater Urbandale Area day in and day out. Our certified mechanics understand the true value of every vehicle brought into our NAPA AutoCare Center shop. Because of our extensive respect and experience, we service every major vehicle make. No matter the type of repair, replacement, maintenance or restoration service your car needs, you can trust that our Premier Automotive Service Center can provide them. A certified mechanic in Des Moines from our auto shop is certain to provide a quick and thorough inspection and diagnostic service for your convenience. The sooner we can discover the problem behind any symptom your automobile is displaying, the sooner we can solve the problem and you can have your car back!Our professional automotive repair technicians are fully licensed and insured so that we may assist you as soon as you bring your vehicle in. Premier Auto provides not only quick turnaround on big projects andndash; like rebuilding engines or replacing transmissions andndash; but also fast and affordable routine services! Having your car maintained by our automotive specialists is the best way to be sure you are getting the most use out of one of your largest investments for as long as possible. General maintenance administered on a regular basis goes a long way in extending the effective lifespan of your vehicle, especially when performed by a trusted professional. 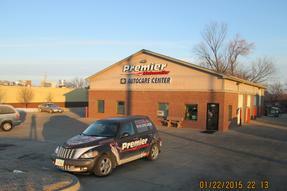 As your premier auto shop with the highest quality auto repair services in Des Moines, IA, Premier Automotive Service Center is happy to provide service 6 days a week. Our inventory of ready-stocked reliable factory products from major manufacturers means we are prepared to handle a large range of vehicle types. If you need a repair or replacement fast, we never dawdle! Our timely vehicle returns is one of the largest contributing factors to our high customer approval rating. That, combined with our thorough inspections and diagnostic specialists makes us the best auto repair shop around with the team of certified mechanics you can count on. Our friendly, honest, professional automotive technicians will leave you with the peace of mind that you will have your vehicle back shortly and in excellent road-worthy condition! Is it time for a check-up? Need a fast repair? 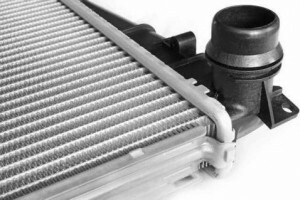 Worried about replacing a car part? Call our certified mechanics today!